I always like to look back through my year worth of posts and dissect what did and didn't work for me in terms of style. It happens to be a perk of blogging (with photos) about your style - you can easily flip back through and find awesome trends, bad styles for your body, and favorite pieces. I think that 2014 was a transitional year for my wardrobe. Looking at some of my earlier outfits, it's clear I had some more prints going on, less staple pieces, and my attire was a bit all over the place. As 2014 comes to a quick close, I can tell that my closet has veered into a pretty basics driven direction and simple has taken over what was a bit flashier at the beginning of the year. I wore this in January 2014 which makes me feel cold, but cobalt and black are definitely a favorite combo of mine! This color was pretty big near the end of 2013 and early 2014. 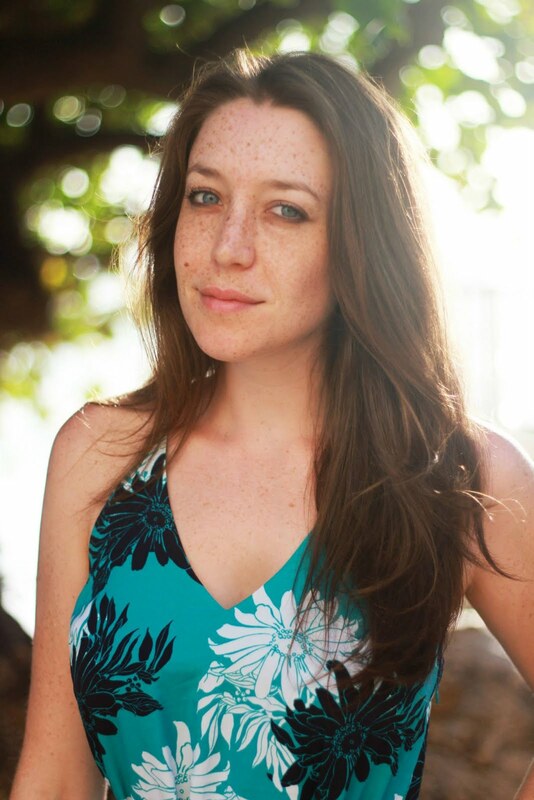 This dress remains a favorite in my wardrobe. I wore it through the year for many occassions - my engagement photos, nice brunches, summer days, and then for a New Year's Eve party post! 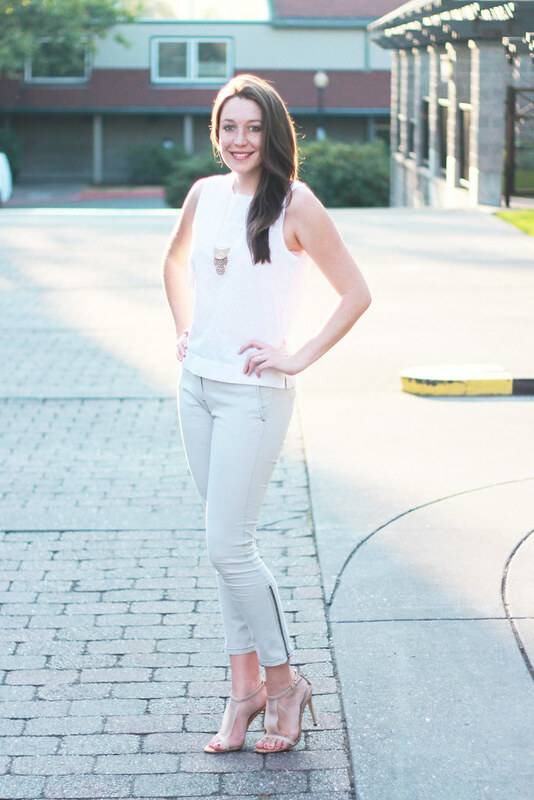 I'm not sure if this outfit, the fishtail, or early spring/summer weather is my favorite part about this look, but you can see that white started to take over my wardrobe in full force in about May of 2014! This ever-popular J.Crew skirt and faux Rockstuds carried me through a lot of the year. This faux-leather jacket (similar and on-sale) has also been a multi-year staple in my wardrobe. I strongly recommend The Limited's outerwear collection! 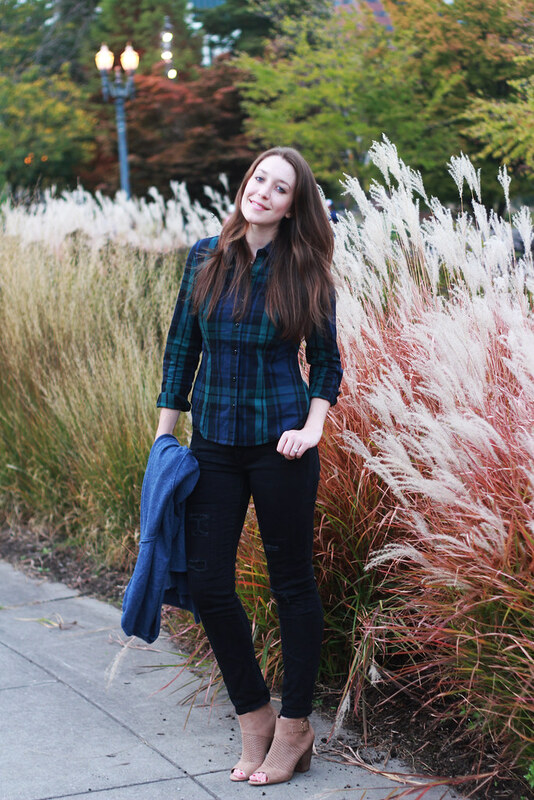 I discovered boyfriend jeans in 2014, which might seem late to the game, but these slouchy Gap BF jeans have been serving me well all year! This dress actually got as grungy as my striped flats by the end of a full summer of wearing it EVERYWHERE. If you invest in anything for the next summer (or even not invest), make sure it's a white eyelet shift dress. I threw this on for wedding dress shopping, for wine by the waterfront, for casual and hot days, for barbecues and it always looked perfect. I had fully boarded the white eyelet train by the end of summer! 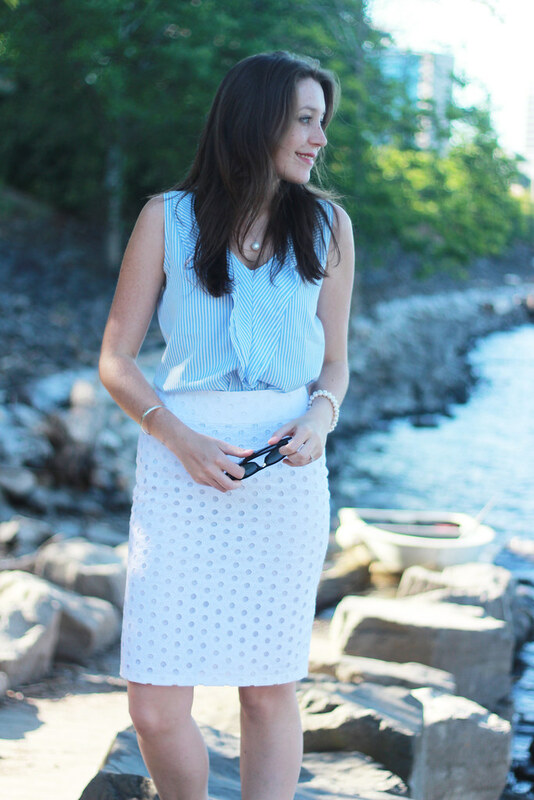 This skirt served me perfectly for work and weekend with light colored and flowy blouses. See below as well. 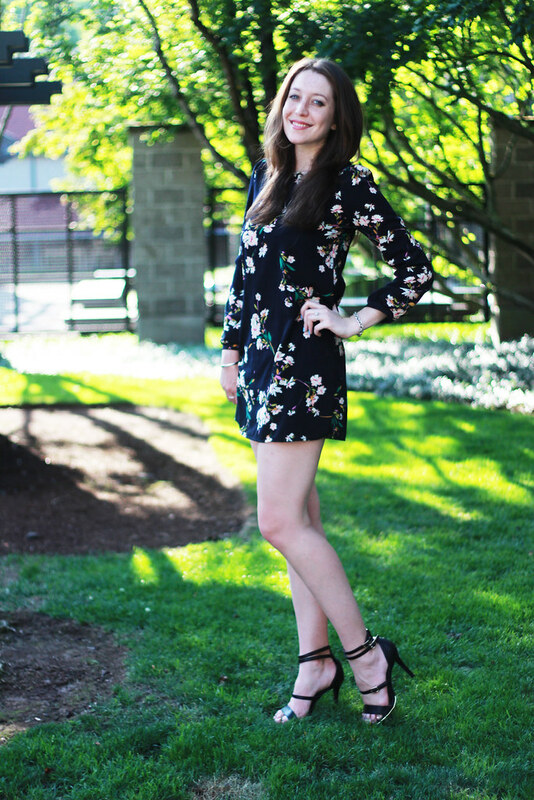 A dark floral dress has a permanent spot in my closet. I actually remixed this dress all year. Once I wore it with a peach blazer, once with tights and moto boots and a cardigan, and then repeatedly during the summer when I needed something a bit flirty that still flattered my complexion. It's all about white apparently. These jeans also became summer staples and were perfect for just about any summer activity. I also wore this floral top a ton! Neutrals started taking over in August about the same time that gold infiltrated my jewelry collection! Nothing like colors that flatter summer skin and winter skin! I wanted a trench and new cropped slacks in the fall. Ask and you shall receive. I adore these cropped pants from Gap and have worn them countless times to work. 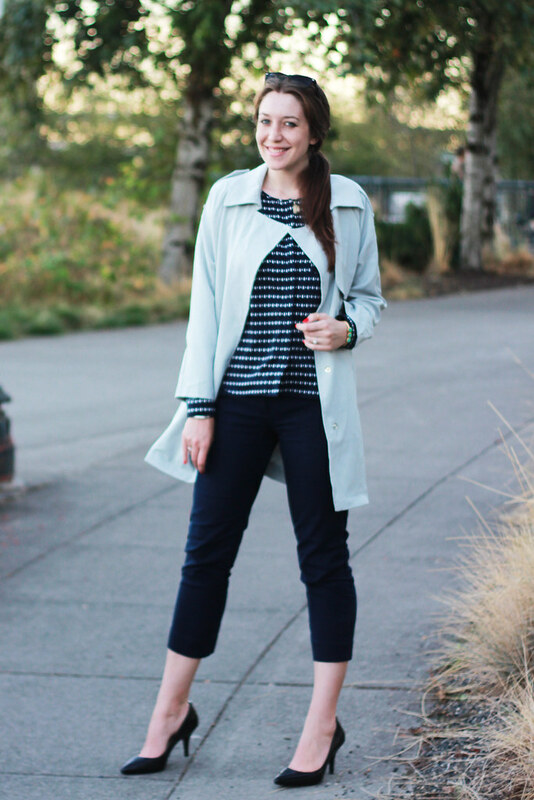 The trench, while not warm enough for winter, always makes a look seem a bit more stylish than it is. It's on sale here. Another pants addition to the wardrobe - black, distressed jeans. 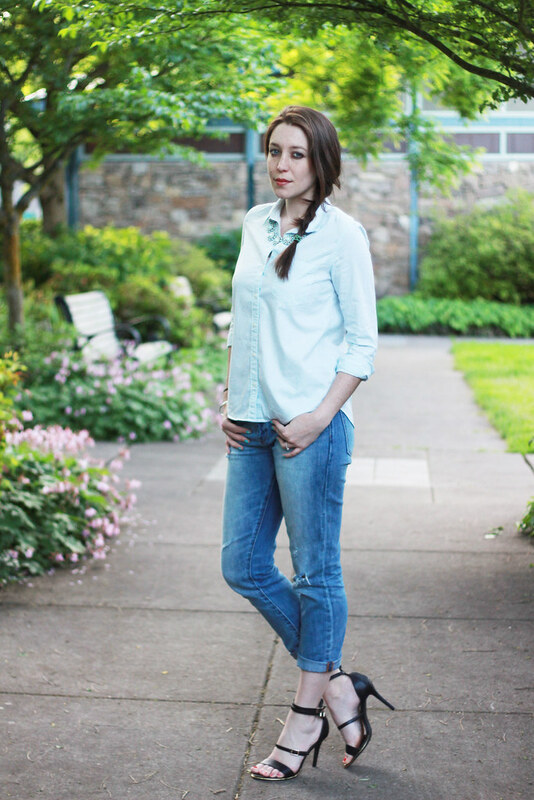 Gap's black denim campaign won me over after an entire summer of white clothes! 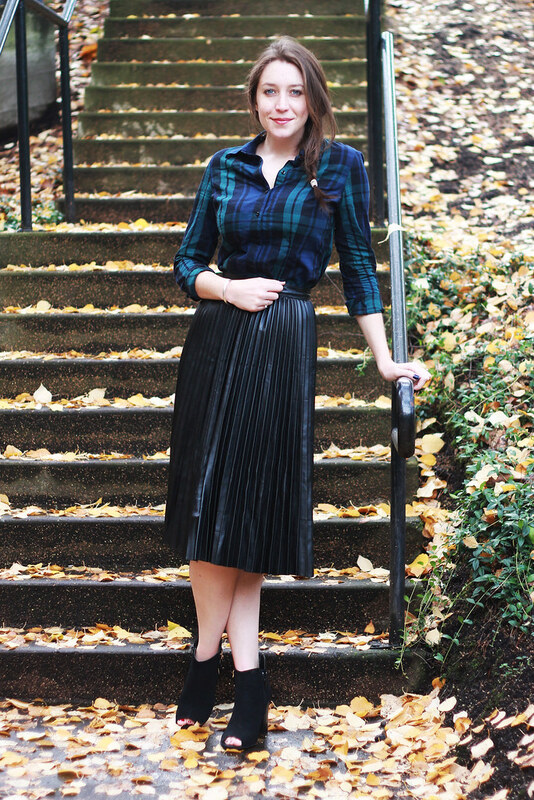 An unexpectedly successful fall look - pleated faux-leather skirt (goes with everything), open-toed booties (I know there are two camps on these), and a plaid top! Loved this darker outfit! 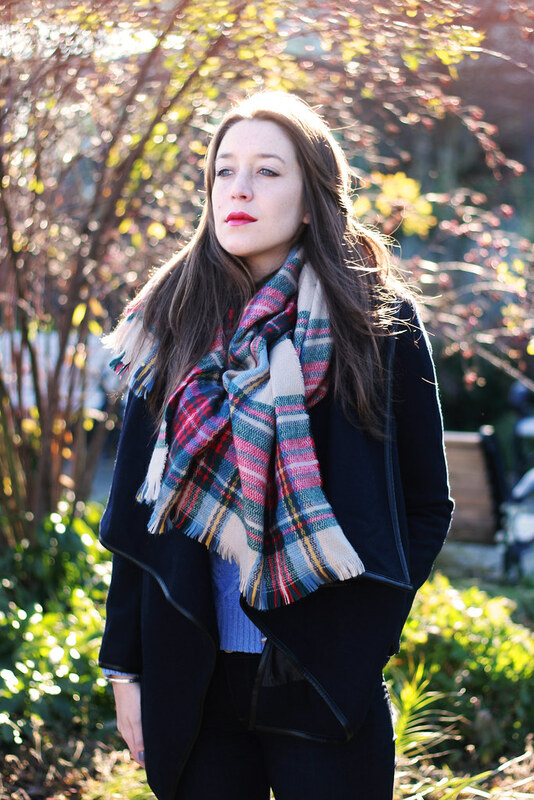 Finally, a darker wintry look with this waterfall navy coat and blanket scarf. I tried to resist the blanket scarf trend but c'mon people, it is literally akin to wearing a blanket to work! Check Forever 21 for awesome (and awesomely cheap) options! All super cute, and even better when you dress the whole thing up with that wonderful smile. Happy Holidays! All gorgeous outfits!! You are quite the style blog model! I pretty much love all these outfits (well, except for open toed booties...) and can't fathom what will make it into the other post of least favorite! LOVE the shoes you wore with the faux leather jacket and J. Crew skirt! This is a great compilation of your year. Thanks for sharing! Such a cool outfit!Thanks for sharing these beautiful pictures ! Very inspiring!! What a fun post!! I *think* my favorite outfits are the eyelet and leather skirts!! !